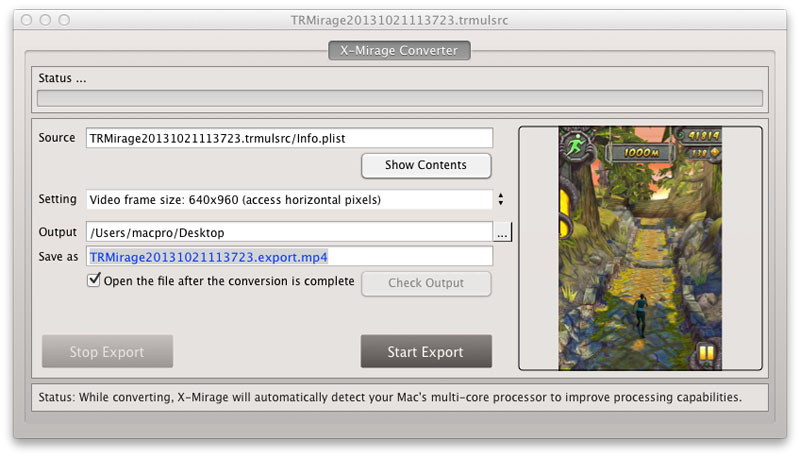 X-Mirage is a Mac application that allows anyone to record what is being displayed on their iPhone’s screen in real-time. When we need to record iPhone screen activities? 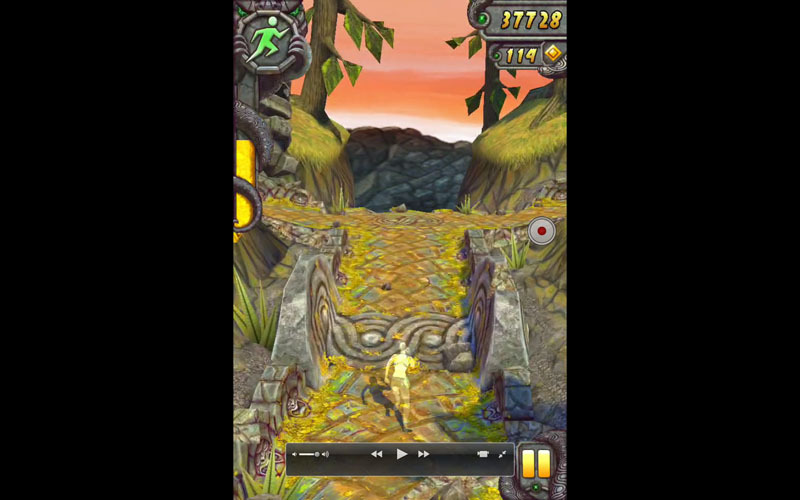 Well, make App review or tutorial, show off your game skills in Temple Run, Real Racing or any game you like, record a demo for your video blog, show others how you draw a picture, make slideshow and stuff like that. In a word, whatever is on your iPhone screen can be recorded with X-Mirage. X-Mirage works on your Mac and mirror iPhone display to the bigger Mac screen, then record the mirrored iPhone screen on Mac. In this article, we’re focusing on the screen recording ability of X-Mirage though, which is extremely easy to use. 2. Mirror iPhone's screen to Mac and run any app. iOS 6: Double-tap the Home button and swipe right twice and tap the AirPlay icon, select X-Mirage[your Mac name], then turn on Mirroring and tap Done. iOS 7: Swipe up from the bottom of the screen to access Control Center, tap AirPlay icon, select X-Mirage[your Mac name], then turn on Mirroring and tap Done. Once enabled, your iPhone’s screen will be mirrored on your Mac. 3. Click the red record button to start iPhone screen recording. The red record button is available when you move the mouse cursor to the mirrored window and disappears automatically 3 seconds later. 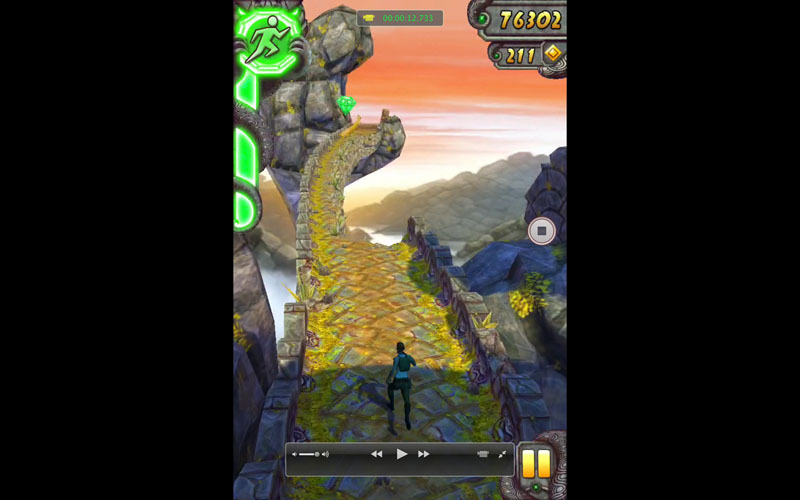 You can run any iPhone apps. When finished, click the Stop button or close the mirrored screen. Then the below window will pop up for you to you to export the recorded iPhone screen video.